Stop hiding your smile! Dental implants are the most permanent, natural-looking solution for missing teeth. North York Dental offers robust and effective dental implants that firmly anchor replacement teeth when there are no supporting teeth for bridges. We have years of implantlogy experience and are also constantly upgrading our training, so we’re versed in the most current implant procedures. If you are interested in dental implants, we’ll conduct a detailed radiographic examination and health history. We’ll make sure you understand each step of the process and keep you comfortable throughout the procedure. 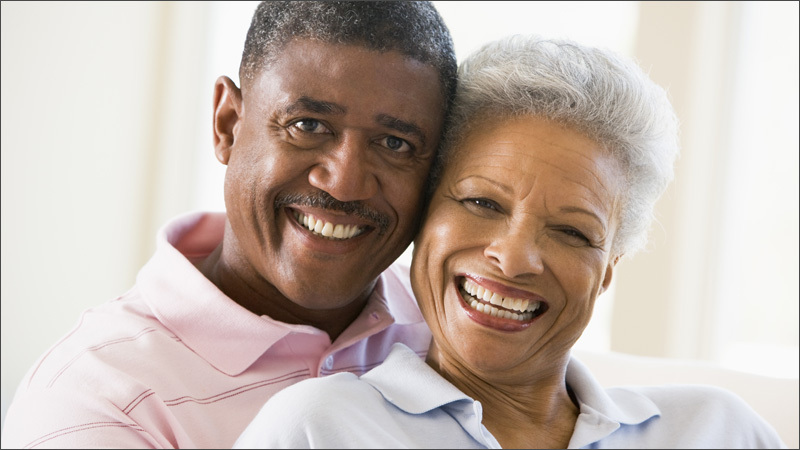 Contact us today to learn more about your options for dental implants and a full beautiful smile. Bone loss of the jaw occurs after some time where teeth are missing. Dental implants slow this process down and act as roots for replacement teeth. The implant consists of a threaded titanium screw or post, surgically placed into the jawbone. If the procedure is successful, the surrounding bone grows into the microscopic surface of the implant, making it more secure. This process is called osseointegration. Once the implant has healed, a replacement tooth can be put in place. The entire procedure usually takes six to eight months. Most patients do not experience any disruption in their daily life. Implants have a very high success rate and can last indefinitely if properly cared for. Unlike bridges, they don’t require preparation or drilling of healthy neighboring teeth.